There’s always that one friend who aces holiday gifting, consistently finding presents so perfect, so interesting, that you’re legit anxious to buy for them in return. But this year, that gifting genius is going to be you, because we tracked down 12 great gifts that are made even better by their seriously compelling origins. 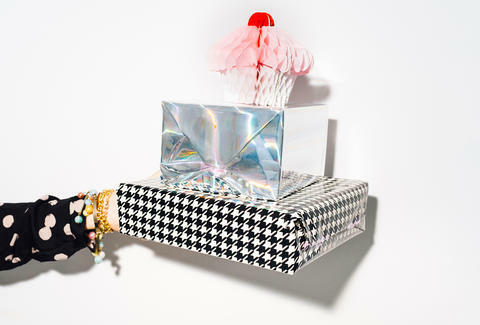 Hand these gifts out and your friends will appreciate the story as much as the gift. So prepare to win the holidays. And trivia night. The Story: Unless you entered a deep hibernation during 2016, you are probably familiar with the term “cutting the red tape” and how that’s slang for nixing all that no good “bureaucracy” from government functions. While it seems like a hot topic of conversation now, the term actually dates all the way back to the 1700s, when European town clerks would bind official documents with red twill. 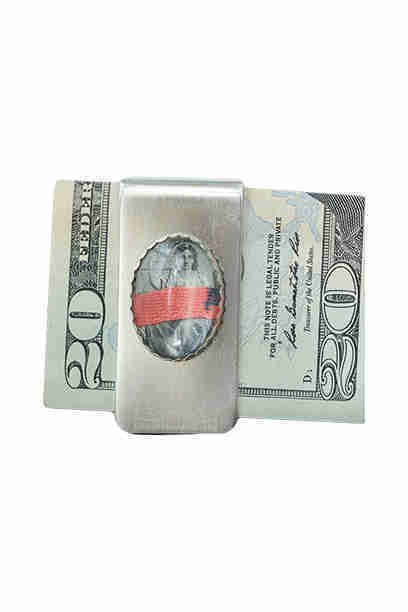 Now, the National Archives store sells the authentic “government red tape” preserved in jewelry, cufflinks, and money clips. Who to Get it For: That one relative who is always complaining about having to fill out too many forms at the DMV. 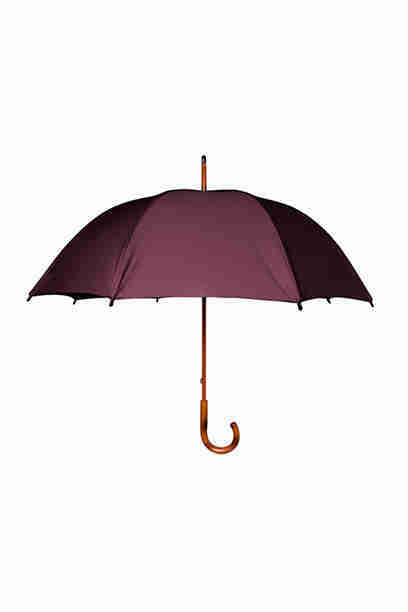 The Story: This umbrella got its start in the 1920s, when Isadore Flader was working as a door-to-door umbrella repairman in regularly dreary Vancouver. His reputation as the guy who fixed umbrellas on front porches led to him opening his own store, The Umbrella Shop, in 1935. The company has since remained a family business, now run by his granddaughter, and umbrellas are still crafted using the same sewing machines and equipment they first purchased in the ‘50s. On top of that, a seamstress and rib-maker work as a two-person team to see the umbrella to fruition. (And we’ll bet that they aren’t superstitious about opening umbrellas indoors.) They still do umbrella repairs, too. Who to Get it For: Your foodie friend who watches a lot of Netflix. The Story: Another gift with a story? 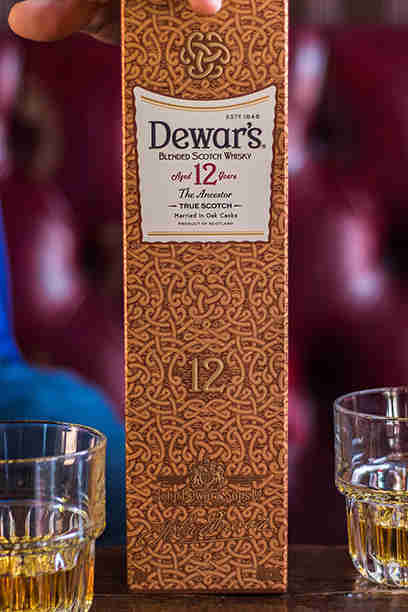 Dewar’s® 12 Year Blended Scotch Whisky. It started with John Dewar, Sr., who founded Dewar’s all the way back in 1846, when he wanted more Scots to drink Scotch whisky, instead of its Irish counterpart. He pioneered the Scotch whisky blending process of “marrying” different whiskies in the cask to create tasty blends. His sons took the idea global (like, “visited 24 different countries in just two years” global). The Dewar’s 12 Year Blended Scotch Whisky is the result of that same, century-old marrying process, but it ages in the cask for (you guessed it) 12 years. Who To Get It For: Anyone (of legal drinking age) who was cool enough to get on your list this year. The Story: Imagine backpacking through Europe and trying to carry a pocket knife, a pair of pliers, and a screwdriver past the TSA without pre-check. 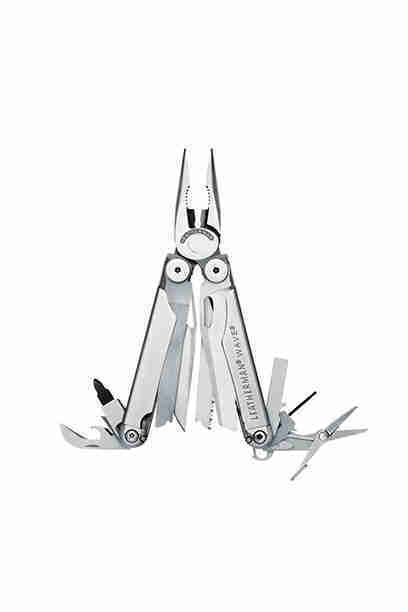 Timothy S. Leatherman, who created the Leatherman multi-tool, first came up with the idea of getting all of those road trip necessities into one piece when he was traveling abroad in an unreliable, $300 Italian sportster, and staying in hostels with equally unreliable plumbing. A Boy Scout knife was able to handle most of the handywork, but Leatherman found himself wishing he had packed a pair of pliers along for the trip. When he found himself back in the States in 1980, he patented his idea for the “Pocket Survival Tool” before founding the company in 1983 in Portland. Who to Get it For: The handyman (or woman!) in your office who is always fixing things with scotch tape, paper clips, and coffee filters. 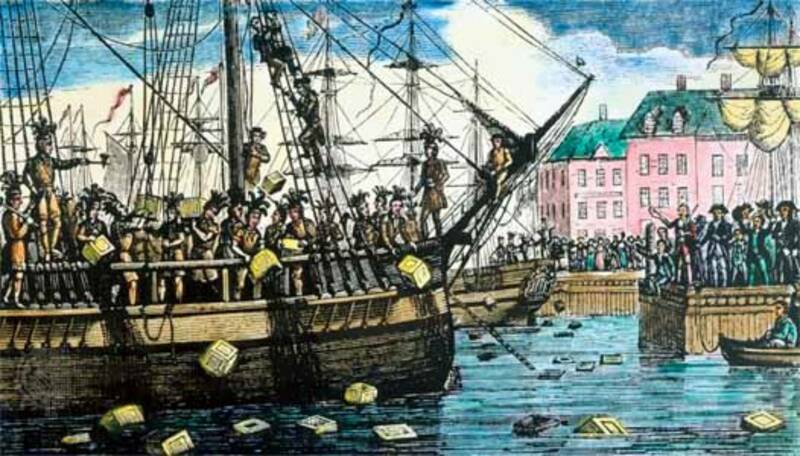 The Story: We all know that the American Colonists really liked their tea, and liked it enough to do this when Britain threatened to tax it. But what exactly were they drinking? 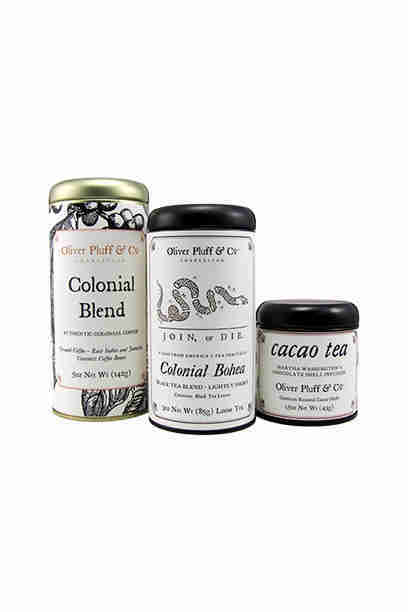 That’s what Oliver Pluff, the company blending colonial teas, has recreated. The most frequently imported tea was Bohea -- a black tea blend that was so popular, Bohea not only became slang for tea, but more than 1,500 chests of it were destroyed during the Boston Tea Party. That smokier tea? That’s Lapsang Souchong, and a mere 35 chests of it were dumped into Boston Harbor. Who to Get it For: Your friend who always says they have plans on winter weekends, when you know they really are just watching History Channel with their cat. The Story: In places like Saudi Arabia and the UAE, cow dairy farming is basically impossible, so they rely on camels as an alternative -- and have for millenia. 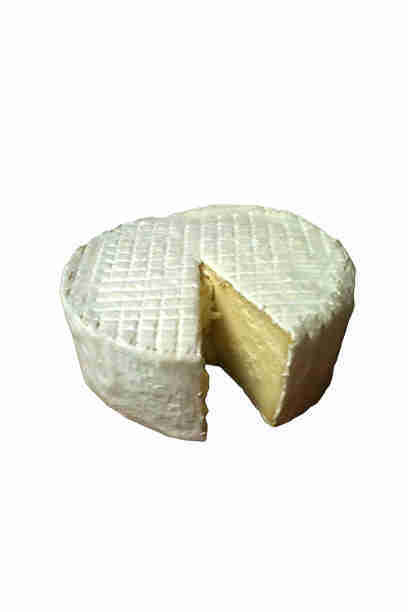 But it wasn’t until 2008 that Al Nassma, a candy company in Dubai, decided to use camel milk to make chocolates. They were the first company in the world to do so, and used a 3,000-camel farm to start selling the chocolates in luxury airlines and private airlines. The next year, they decided to go global, in hopes to one day be the “Godiva” of the Middle East. 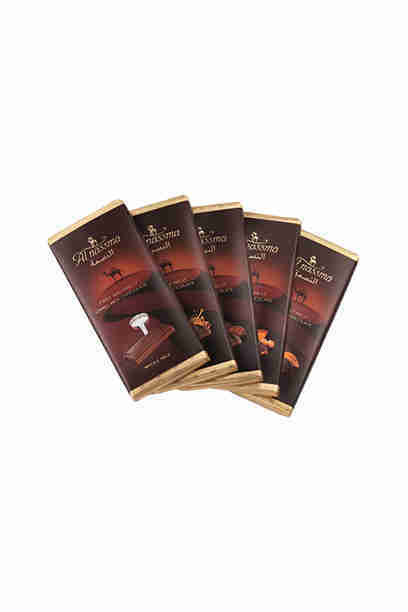 The camel milk reportedly adds a slightly salty finish to the chocolate bar, and is a bit softer than a regular ol’ Hershey’s. Who to Get it For: The person in your life who always goes: “This tastes a little weird... you totally need to try it!” when they try something new. 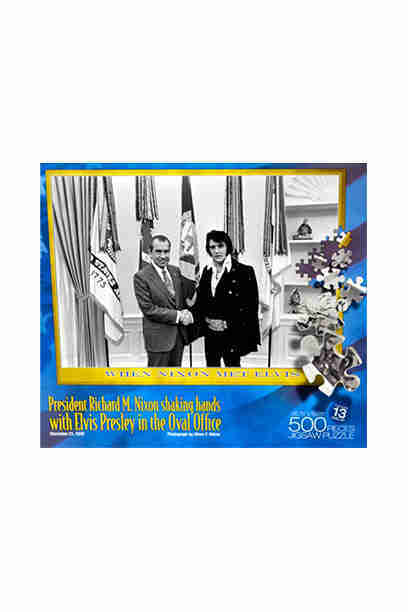 The Story: Elvis Presley and Richard Nixon being friendly is as unlikely as a cockatoo being best buds with a house cat, but on Dec. 21, 1970, White House photographer Ollie Atkins captured their (very odd) encounter. According to the Smithsonian, Elvis was interested in obtaining a badge from the federal Bureau of Narcotics and Dangerous Drugs, so he wrote Nixon a letter saying he would “be of any service that I can to help the country out” -- including being named a “Federal Agent At Large” with the bureau. Nixon took him up on meeting and gave him the badge, but there was no press about the incident because Elvis asked that it be kept secret. But, after Elvis died in 1977, this shot became one of the most requested photos in the National Archives' history. The Story: Five years ago, MIT student Slava Menn was inspired to make an “unstealable” bike light after his friend had his stolen, then was hit by a car while biking in Boston that night. Luckily, the friend was fine, but Menn and a group of other MIT geniuses started engineering a bike light that would lock into the bike’s handlebars, using custom-made bolts. From that (and a lot of Kickstarter cash), Fortified Bike was founded, and they went on to produce other “indestructible” bike goods -- like weatherproof seats, a u-lock you need to cut from both ends to remove, and water-resistant fenders. 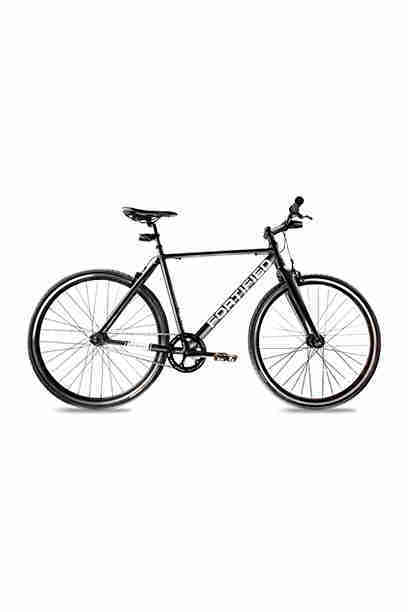 After selling all the parts separately, Fortified Bike eventually combined them all to engineer the Invincible, aka the “unstealable” weatherproof bike. The Story: Thomas Edison may get all the cred for the “first motion picture exhibition device,” but what inspired him? That was the zoopraxiscope, which projected hundreds of photographs, taken in succession, to appear like the subject in the photos was moving. Two artists, Mark Rosen and Wendy Marvel, then took that idea and used it as the inspiration behind their Flipbookit, a hand-cranked machine that displays a 24-frame animation from your pics. It took six months to create the first Flipbookit, and they made it using a birdhouse and old ink-jet printers. 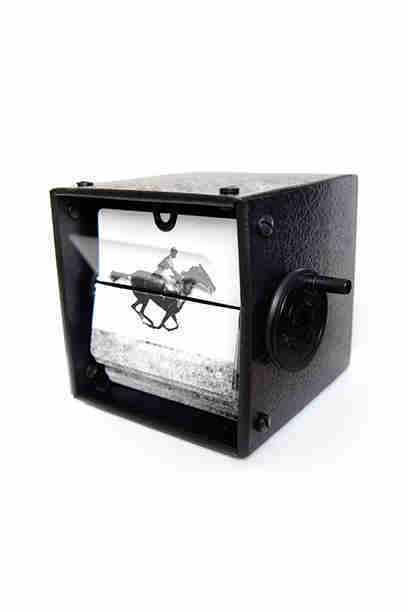 The consumer-ready versions are made to look a bit vintage, but still will display your favorite photos in a gif-like fashion. Who to Get it For: The one person in your friend group who is OBSESSED with Instagram’s Boomerang feature. The Story: The lions that flank the Fifth Avenue entrance of the New York Public Library have gone by a number of different names over the years. First, they were Leo Astor and Leo Lenox, after the library’s founders John Jacob Astor and James Lenox, then Lady Astor and Lord Lenox (even though both the lions are definitely males), and then Pudge and Dumpling. It was ultimately decided that Pudge and Dumpling are great names for house cats, but not iconic sculptures, and they were officially named Patience (the southside lion) and Fortitude (the north) by NYC’s mayor in the ‘30s, because those were the qualities he felt residents would need to endure the Great Depression. 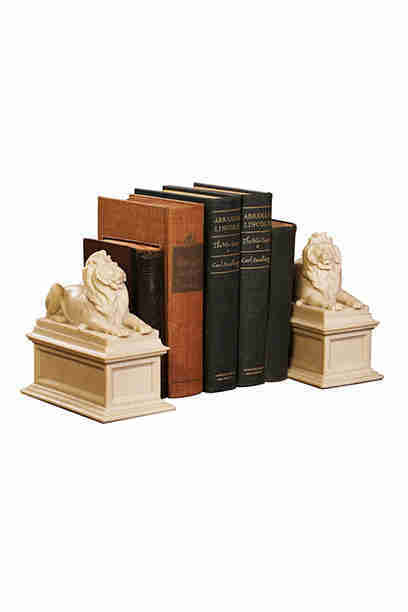 Today, they are the mascots for the library, and the NY Times sells miniature marble versions of the lions as bookends to grace your mini book collection. Who To Get It For: Your sister, who needed your help moving six boxes of books into her new apartment this year. The Story: Japan’s Seki City has been the heart of Japanese blade-making since the 13th century (to put that into perspective, that is the same time that the Crusades were happening). Seki City is also home to the Kai Corporation, who have been making their Shun knives in the city for more than a century. To create their cooking knives, they drew from the craftsmanship involved in making samurai swords -- meaning that each blade is crafted by a specially trained artisan, who must complete no less than 100 different steps, including grinding the blade from it’s thickest point to a super-sharp tip, to make the knife. Your carrots don’t stand a chance. 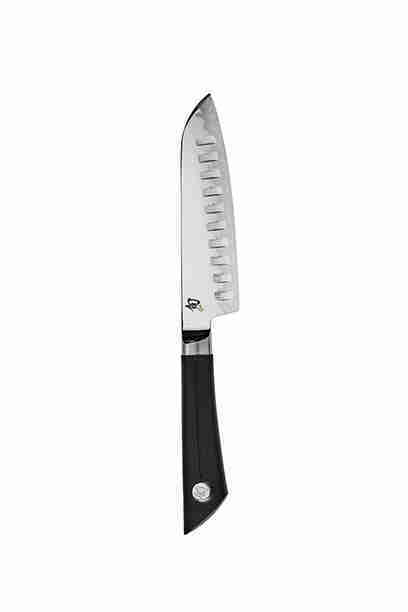 Who to Get It For: The most badass chef you know (i.e., your mom. ).